Also the honey I produce, is entirely controlled by me through every step: starting from the selection of the best location for the honeycombs, to special care throughout every stage, all the way up to the extraction and canning process. Bees present us with a unique product in its nutritional and organoleptic qualities, along with carrying out an extremely relevant role in the pollination of plants and maintenance of the eco-system. The difference between these two kinds of honey lies in the preponderance of either one or more flowers in the nectar: monofloral honey will contain mainly one flower and this is achieved by extracting the honey before any other plant starts to flower. Multi-flower, instead, means that the honey is extracted at the end and many different flowers are involved in the process. The honey I produce comes from a clean and healthy environment, along with beekeeping that is respectful of the bees themselves, protecting them and safeguarding their life-span. Honey is mainly composed of monosaccharydes, such as glucose and fructose, along with water, other sugars and various substances among which organic acids, minerals, enzymes and aromas. 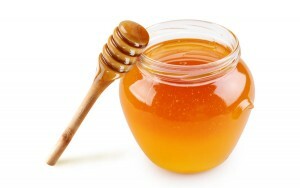 Compared to other sweeteners, honey’s higher sweetening power and energy is due to its high concentration in fructose. The relative percentage of these two sugars (glucose and fructose) determines honey’s natural crystallization at low temperatures: honey with a lot of fructose, tends to remain liquid, while honey with a lot of glucose, crystallizes more quickly. In any case, if the jar of crystallized honey is put in water at a temperature of about 40° C, it will soften. Honey is not only an excellent substitute for sugar when preparing cakes and food in general, but also has emollient, depurative and cosmetic properties, not to speak of its antibacterial qualities.